Our first resighting of a colourringed Greenshank is a fact, and it was a good one - the first one ever from Norway to UK. 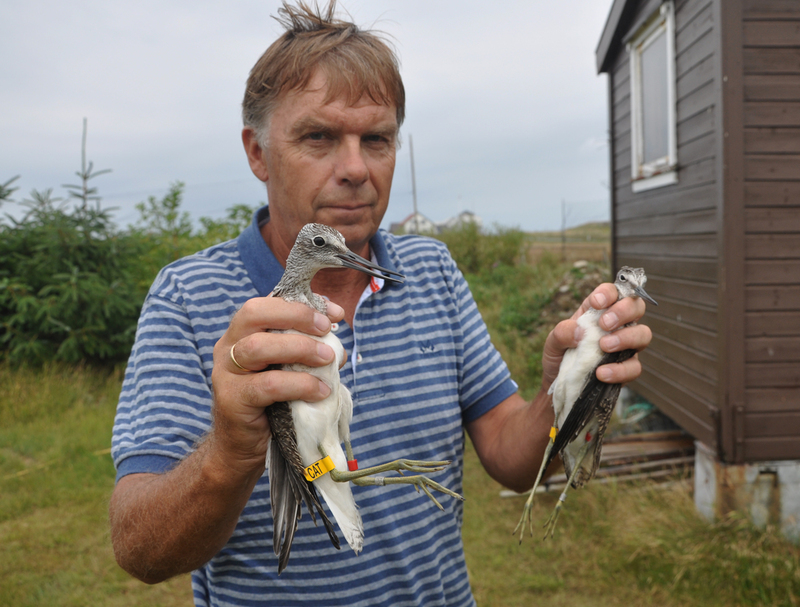 It was ringed as a 1cy at Revtangen BO on August 2nd, caught in mistnet with playback by the observatory pools. This bird, with the code "CAT" (we almost threw the flag away....) was resighted by Brian Buffery at East Lake Lagoons, Bawdsey, Suffolk on August 24th, feeding togethert with another Greenshank. This project on Tringa-waders in Norway use a red marker on the left tibia and a yellow flag with a 3-letter inscription on the right tibia. Species included are Greenshank, Spotted Redshank, Green Sandpiper, Wood Sandpiper and Common Sandpiper. "CAT" ready for take-off at Revtangen BO on August 2nd 2018.